From Mediaite: Looks like Donald Trump has found himself in another another feud. Mediaite reports, “So… looks like Michelle Malkin and Donald Trump are having a good ol’ Twitter spat. Malkin’s conservative Twitter aggregator site Twitchy took to calling the real estate mogul and recent CPAC speaker Trump a ‘conservafraud.’ Shortly thereafter, Malkin took to Twitter — as she is wont to do — to ask Trump why he once called her a ‘dummy’ and ‘smeared’ her ‘past.’ She noted for her conservative audience that Trump was a supporter of ‘socialized medicine’ and an abuser of eminent domain (It’s true — as I wrote last year, Trump is a ‘crony capitalist’ who has, on multiple occasions, used government power to strong-arm others). After a good 12-hour delay, Trump finally responded. And he did so in typically brash style.” Read on and see the tweets here. From Gossip Cop: More late night talk show rumors! 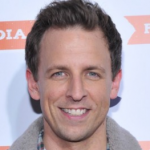 Gossip Cop writes, “Seth Meyers is reportedly the frontrunner to take over ‘Late Night’ if Jimmy Fallon replaces Jay Lenoas host of ‘The Tonight Show’ next year. It’s expected that Fallon will make the jump to 11:30 p.m. in 2014, in which case ‘Late Night’ will need its fourth host, following David Letterman,Conan O’Brien, and Fallon. The New York Post and other outlets are reporting that Meyers, currently the ‘Weekend Update’ anchor for ‘Saturday Night Live,’ will be the pick. ‘SNL’ mastermind Lorne Michaels also produces ‘Late Night,’ and is said to favor having Meyers make the transition. The possible Meyers choice has NOT been confirmed.” Read the whole story here. From Geekosystem: Now headed by a new pope, the Vatican’s Twitter made an interesting move yesterday. Geekosystem reports, “Considering the digital confusion that has come out of the Catholic Church in the last few months, you wouldn’t be out of line in assuming one of the Vatican’s Twitter accounts had been hacked when it tweeted the following yesterday: “Holy switcheroo! Batman has grown bitter, more vengeful with the years.” It wasn’t a hack, though – it was something even weirder: proof that yes, the Vatican apparently does have a position on Batman. 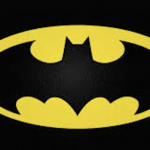 And it’s that they miss the Adam West version of the character, which is a really indefensible opinion to espouse, even for the Catholic Church.” Read the story here. From Styleite: Did you watch Project Runway last night? You can already own one of the winning designs! Styleite writes, “Project Runway is well into its eleventh season, and on last night’s episode, designer Michelle Franklin won a huge Lord & Taylor challenge that has turned her into a semi-household name. Designers were challenged to create a look inspired by the retailer’s iconic American Beauty rose. Franklin won with a chartreuse colorblocked shift dress, which already being sold online and in select stores for $259. The dress will also be featured in store windows. A quick look online reveals that the dress is oddly being sold under “JS Collections” rather than Franklin’s name, and only sizes eight and up are available. Sorry, petites.” Check out the design and a bit of the episode here. From SportsGrid: March Madness has begun! With a big upset. SportsGrid writes, “Charles Barkley had New Mexico in the Final Four – which is to say, don’t trust Charles Barkley when making college basketball picks. Or, really, don’t trust anyone, because no one has any idea what they’re talking about. Because the 68-62 Harvard over New Mexico upset was something practically no one saw coming, mostly because Harvard hadn’t won a tournament game in school history and New Mexico was everyone’s favorite dark horse. Harvard will face a much more physical Arizona team in the tournament’s next round, but for now can enjoy pulling off the biggest upset of the tournament thus far.” Read more of what happened here. From The Mary Sue: There’s a new spoiler about Iron Man 3… from an unexpected source (read on at your own risk). Writes The Mary Sue, “The release of Iron Man 3 is fast approaching, and with that comes its stars doing their contractually required press junkets. And with that comes spoilers. Thank you, Gwyneth Paltrow‘s children, for pushing your mom in the direction of confirming a rather good one… Said Paltrow in an unnamed interview (but it was sent as part of a group of interviews by Marvel Studios to a bunch of different news outlets, among them the quite reliableSuperHeroHype, so it seems legit): ‘I didn’t mind wearing the suit at all. I thought it was light and perfectly comfortable and my children thought I was extremely cool.’ So. 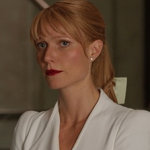 Pepper Potts definitely suits up, then.” Read all about it here. 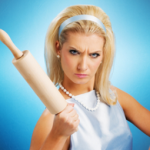 From The Jane Dough: Sheryl Sandberg’s take on feminism is creating some controversy, reports The Jane Dough: “We’ve already talked about New York Magazine writer Lisa Miller’s ‘Retro Housewife’ piece at length… On Wednesday, Miller joined Cosmopolitan Editor-in-Chief Joanna Coles and Barnard College President Debora Spar in CBS This Morning‘s roundtable discussion on feminism. For inexplicable reasons, COO Sheryl Sandberg and her kinda-sorta feminist manifesto Lean In were in Miller’s crosshairs: theNY Mag scribe spent most of her time on This Morning preaching her own, oppositional gospel of ‘leaning out.’ According to Miller, feminist housewives are an ‘antidote to this recommendation by Sandberg that what women have to do to further the feminist movement is to be more competitive, more ambitious, more wily, more strategic. '” Read more about the discussion here. 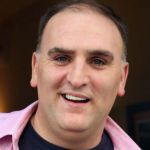 From The Braiser: Celeb chef Jose Andres has an extreme diet, which The Braiser is not advocating: writes the site, “As the unofficial Representative Of Spanish Cuisine in the US, José Andrés happens to eat a lot of rich, fatty foods — and at one point, consequently, had a bit of a weight issue. (As Bon Appétit jealously pointed out, ‘The man samples jamón for a living.’) But he lost 40 pounds from his 278-pound frame, with a few obvious practices (eat more vegetables, enjoy things in moderation, etc. ), and a rather alarming one: his 1000-calorie-a-day diet. Though Andrés initialy tried to meet his caloric goals via shakes, it turned out to be too hard for the chef. (Thankfully, he’s turned back to eating actual food to meet those goals, but according to the National Institute of Health, even eating 1000 calories of fruits and vegetables (and the occasional artisan bread roll with butter) is still bordering on unhealthy.” Read more here.